Well, it’s certainly been an interesting few days. Let me just say, I’m halfway through my release a book every week this month thing and man is it draining. In retrospect, NEVER AGAIN! The new one comes out tomorrow, but it’s already up and you could grab it on Amazon if you liked, I suppose. So, I haven’t made a post in a while, and I’ll tell you why. Busyness! See, I was working on a new book. The first in a new series called Throne to the Wolves, and I just finished the final editing this week. It’s now with the proof reader. I think you’ll really like it. Thank you to everyone out there who picked up a copy of Magic & Mayhem! 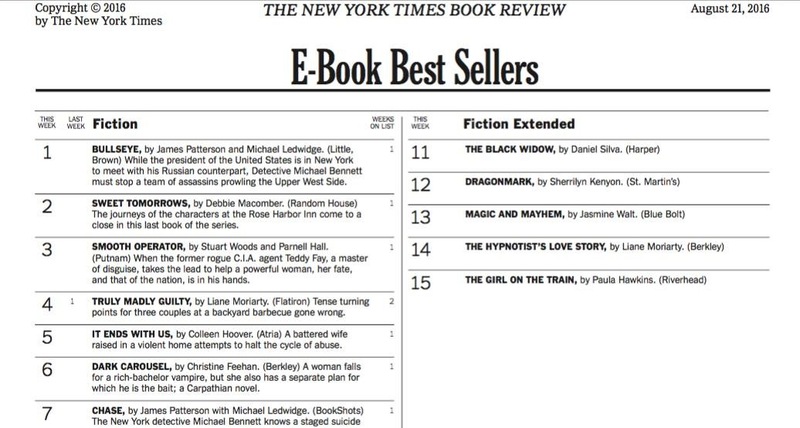 Thanks to you guys we hit both USA Today and the New York Times bestseller lists! I feel like I’ve got a lot of balls in the air right now, and to be perfectly honest, it sort of feels like too many balls in the air. For those of you wondering, I’m currently 23k into Conquest’s Hammer, the third and final Revelations book. With any luck, I’ll have it out this month. If you haven’t picked up Death’s Mantle, you can do so today for free on Amazon. I was supposed to do things this month that I have not done. I blame me, mostly. See, I had this plan for finishing Death’s Mantle, writing a Lillim prequel, and starting on All Wrapped Up (Thes book #2). First thing is first, Under Wraps is now available for preorder. So since the beginning of April, pretty much all of my books have been available everywhere. It was an experiment that I don’t think is viable for me. Let me see if I can explain this in a way that makes sense. Last night at around 11:30 PM, I finished up the first draft of Under Wraps. This one was touch and go for me. I deviated from my outline so many times. Then I rewrote my outline… and immediately deviated from it again. It was one of those books.